Joanna Hope Berry Velvet Maxi Dress is rated 4.6 out of 5 by 12. Exclusive to us - Joanna Hope. 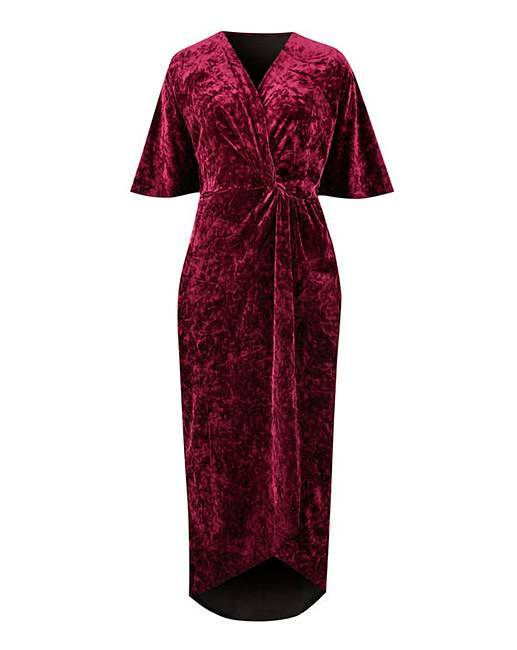 This great value crushed stretch velour maxi dress is a must for the party season. With knot front wrap detail and kimono sleeves this dress will take you anywhere. The hem is curved for contemporary feel and vintage glamour. 59% Polyester, 30% Polyamide, 11% Elastane. Rated 4 out of 5 by Emmaako from Great dress I brought this maxi dress last week and the fit is perfect and looks more expensive than it is. Would recommend this to my friends. I'm in love. Rated 2 out of 5 by Lyn52 from Comfortable Very comfy but it felt more like something I’d lounge in . Sorry had to return it . Rated 5 out of 5 by Edinburgh Gal from Absolutely Perfect Bought quickly for a Christmas party. The dress is very comfortable, great at hiding lumps and bumps! Lovely material. Fab colour too! 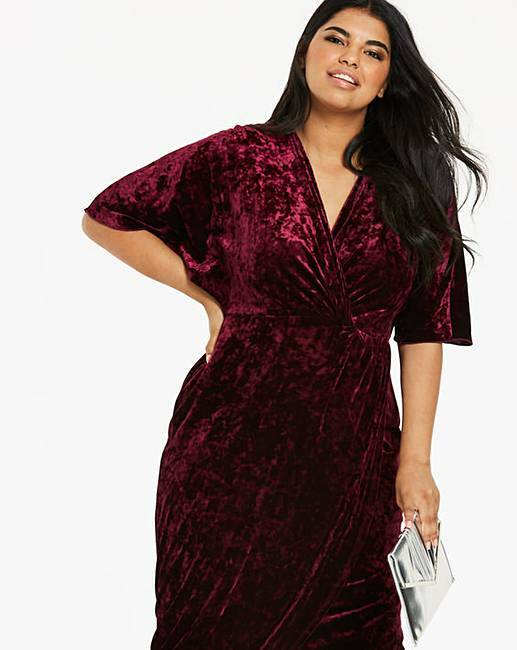 Rated 5 out of 5 by Claire from Flattering dress I bought this for a Christmas party and it is absolutely lovely. Really comfortable and beautiful fit. I had lots of compliments. Rated 5 out of 5 by Victoria from Beautiful dress! 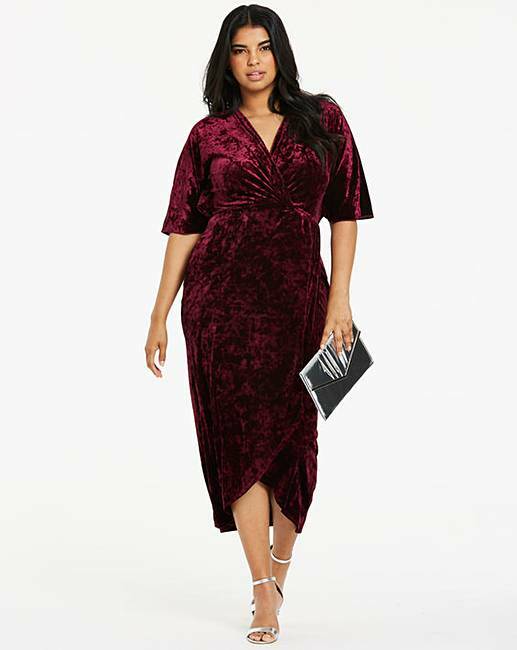 I bought this dress for my Christmas Do, the colour is beautiful and just right for Christmas! I can’t wait to wear this because I feel great in it, the material feels really nice and hugs my curves in all of the right places! Would recommend this to anyone wanting a dress for a special occasion. Rated 5 out of 5 by ang from stunning dress stunning dress for the price, lovely red colour, fit as expected, comfortable and lightweight. Bought for Xmas party.